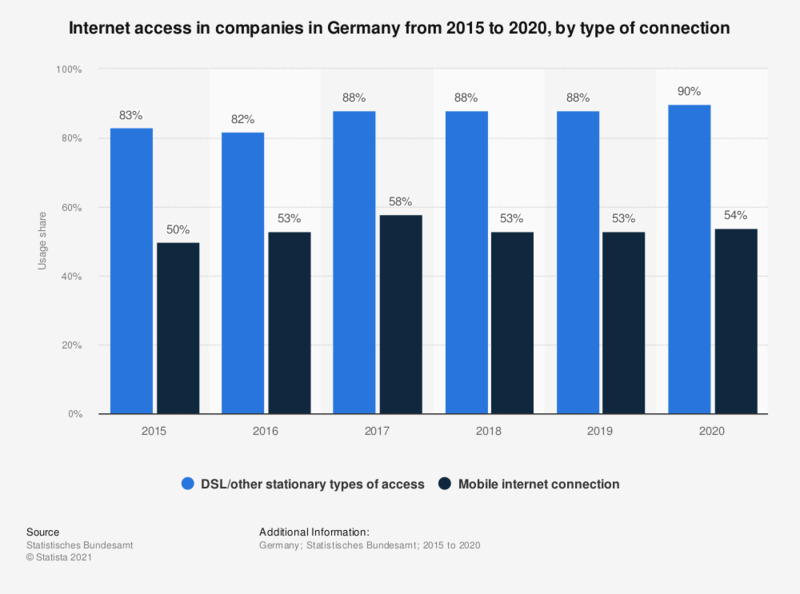 This statistic shows the distribution of internet connection types used by companies in Germany from 2015 to 2018. In 2018, roughly 88 percent of companies used DSL or other stationary connection types to go online, with 53 percent of companies also using mobile internet connections. The statistic can be found by entering "52911-0001" into the search bar at the linked website.